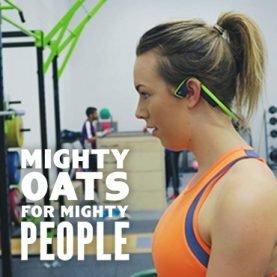 In our regular story series Mighty Oats for Mighty People, Mornflake meets inspirational people worldwide to talk stellar achievements, complex challenges and incredible accomplishments. 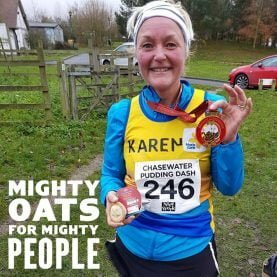 This month we’re talking to Karen Bourne, an inspiring mother of two who’s tackling 29 running challenges in a year to raise money for Mind, a charity close to her heart, as part of The 29 Challenge. Even with such motivation and drive, you’re a working mum with two young children, trying to fit lots into each day – can you describe what a typical morning might look like? A typical morning is fairly busy, especially now that I’m working full-time. Juggling work and getting things organised to get to school is the usual weekday morning. The weekends are a bit different. All of the Challenges take place at weekends, mostly on a Sunday morning, and I also have to fit in some training runs. I have been very clear from the beginning that it had to work around and alongside our lives in a positive way so we work together to slot things in to ensure I am still around to have breakfast as much as possible. Fuelling your body with the right foods must be an essential part of your routine, what do you have for breakfast before a run? “Sometimes I’ll have porridge with a little banana and some honey, and sometimes it might be an oat bar that I have made and I’ll have that with a banana.” It depends on how long the run might be and what time I have available. You can donate to Karen’s fundraising or find out more about The 29 Challenge here.